Hillary Clinton is one of the most fascinating women in the world today. A brilliant, serious-minded lawyer, she met and married the similarly gifted and hugely charismatic Bill Clinton in her twenties. They joined forces to form one of the most remarkable political marriages in American – and world – history. 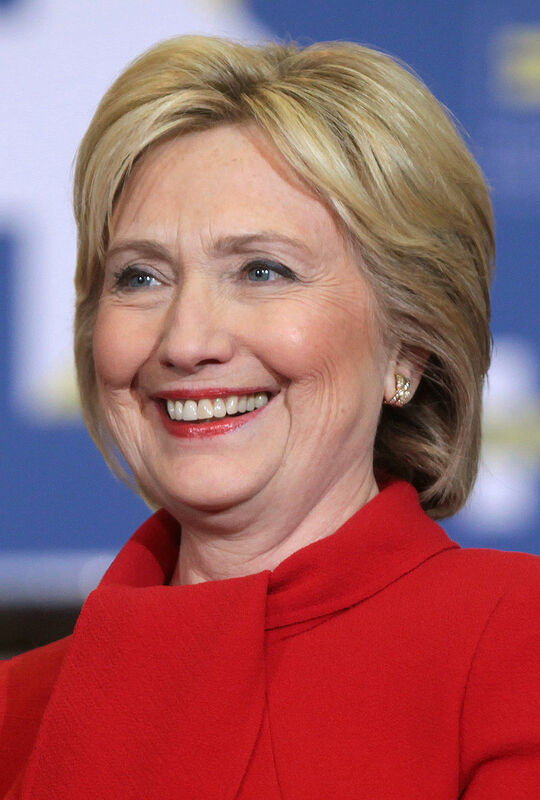 Yet during her husband’s rise to the presidency, and throughout his two terms in the White House, Hillary was regarded less as a brilliant legal and political mind and more as the wronged woman. Her husband’s affairs, in particular with Monica Lewinsky, a White House intern, were a humiliating public ordeal for Hillary. It might have sunk a lesser person, but to the amazement of many, Hillary came back fighting, becoming the senator for New York and positioning herself to perhaps run for the presidency in her own right one day. Like George W. Bush, she is a hugely polarising figure. She is admired and reviled in equal measure. Looking at her chart, however, you see that this is something she will be able to take in her stride. And we can see that maybe, just maybe, the pain and suffering she has endured might be worth it in the long run. Her Sun is in Scorpio, which suggests a brilliantly incisive person. Her Moon is in Pisces, indicating someone who can mask their true feelings, something that she has had to draw on enormously in public life. I believe this is a chart of someone who, like the placings themselves, is very much on the edge. I don’t just mean emotionally. I believe she is on the verge of doing something very significant with her life. The Moon is at the top of the chart and its zenith. By looking at this, we know we are talking about someone who comes before the public and finds fame and or fortune, even notoriety. But we can also see that it belongs to someone for whom things are never going to be plain sailing, for whom life will never be entirely rosy. Adding to this impression is the unstable influence of Uranus. Uranus squares the Moon. It is also the rising planet in Hillary’s chart, rising in the 12th house. This can be at the centre of nervous exhaustion and hidden stress. Uranus, as we know, is the planet of genius but also of change and upheaval. With Uranus square with the Moon, you have someone who has the potential for huge inner emotional tension. I am going to be honest here (it is a very Uranian thing to be, of course) but I suspect that one of the reasons Hillary stuck with Bill Clinton was that, although she was prepared to ‘stand by her man’ as she famously said alluding to the Tammy Wynette song, her Moon square Uranus placing enabled her to shrug it off. This was because she has an ambition and she could see her own star rising in time. She has a penchant for being attracted to people who will cause her emotional stress, people with ‘issues’. She can paddle her own emotional canoe without being reliant on anyone for those security bolt holes the average person needs. She is not needy. Although she may be susceptible, she won’t ever reveal how she truly feels with that Sun in secretive. Her Moon is also trine Mercury. This indicates someone who can emote and express their feelings, who is eloquent and empathetic when it comes to their emotions and can draw people in to her difficulties and problems, and see the ordinariness of them. Of course, with Uranus rising, there is nothing ordinary about Hillary. Another reason this chart is exceptional is that, if you look at Mercury, not only does it court the Moon but it is also conjunct Venus in Scorpio. In this instance I suggest Mercury conjunct Venus indicates an icy hand operating within a seductive even sensual glove. Hillary comes across as soft and charming but inside there is an astute, cool, calculating mind. She loves people because of her Leo stellium, but with this lot squaring her Scorpio stellium, if you upset or cross her she will remember it and harbour a grudge. She will then live by the old saying, ‘Revenge is a dish best eaten cold.’ She is highly skilled at standing her ground, at saying nothing and being able to hold things back without bubbling over. She is ice-cool until she is able to let her emotions out in a torrent of feeling. I am fascinated by the fact she has these three placements in Leo because Bill Clinton is a Leo. So I suggest, again, that their relationship was one of fate and destiny. It was almost as if they somehow knew they were meant to be together and that they had something to do together. Fate led them to each other. With Hillary nothing is simple; everything is complex when love hits her heart. She has the ability either to go under with her problems or say ‘I’ll show you.’ She has this atomic, ballistic, concentrated energy that seeps out until she gains dominion over her enemies. People with this usually have an axe to grind. She possesses a very complicated and hidden psyche. Hillary not only battles, but she can also command enormous inner strength and resources. The slings and arrows of the world can be shot at her and they will bounce off. Finally when you look at the Sun in Hillary’s chart, you see something else. Her Sun is in a double disassociate trine to both the Ascendant and Uranus. So we have someone who can lead a double life. On the one hand, she leads a lunar life, whether being a mother or a senator that people will identify with and in whom people will place their trust because they identify with ‘what that woman has been through’. On the other hand, she is also capable of leading a life in which she is reforming, ingenious, sparkling and ahead of her time professionally. People will look at her in awe. Underpinning all of this is that colossal square with the Leo planets and the Scorpio planets. This is where I rest my case about people needing to have what seem like bad aspects in their charts to drive them on in life. This is what makes Hillary fight on. She is at the vanguard of fighting for rights, equality and justice. She is a person who is never going to give up – she is fighting so that others won’t have to. To Hillary, Bill was another lesson in life. What happened to her wasn’t any different to what happens to many, many women. She was able to use that and turn it into something positive. I believe she will use it to transform herself into the first female president of the United States.